"What inexhaustible food for speculation do the streets of London afford? " So wrote Charles Dickens in the Sketches By Boz and, on this fascinating walk, you will discover that his words are still as true today as they were when he first penned them almost 200 years ago. Indeed, given that your guide will be dressed in the attire of a Victorian gentleman, you could be forgiven for believing that you have stepped out of the door of the house that was home to the Dickens family between 1837 and 1389 and have, somehow, found yourself transported back to the teeming streets of the 19th century Metropolis. Richard will greet you with a warm Dickensian welcome (if you've never enjoyed a Dickensian welcome before, then you're in for something of a treat) and he will then set the scene and the mood for the tour ahead. As his introduction begins, the years will start falling away (in narrative at least) and you'll find yourself conjuring up exquisite mental images of fog-shrouded thoroughfares, cobbled under foot, along which horse-drawn conveyances weave their way through the milling throngs, their drivers swerving to avoid one another, their banter echoing through the thick, smoky air of a typical Victorian London morning. And then you're off, following in Dickens's footsteps as he sets out from 48 Doughty Street in search of inspiration, his keen eye and ear attuned to his surroundings as he takes in every sight and sound he encounters, all of which he commits to memory where, through the osmosis of his genius, they are forged into some of the most memorable storylines ever committed to paper. You will stroll along the very streets that he walked along; duck into the timeless, hidden enclaves that he uncovered; gaze upon buildings that have changed little since he looked upon them; and, as you stumble upon these genuine throwbacks to his London, you will gain a terrific insight into, and a fantastic appreciation of, the forces and the places that both drove him and inspired him. 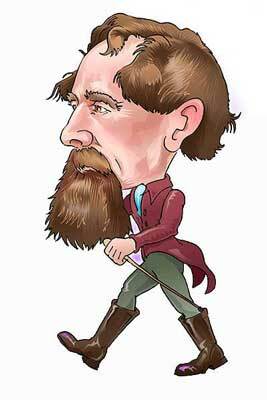 The tour will hone in on many of the magical moments and characters that are Dickens's greatest bequest to us. 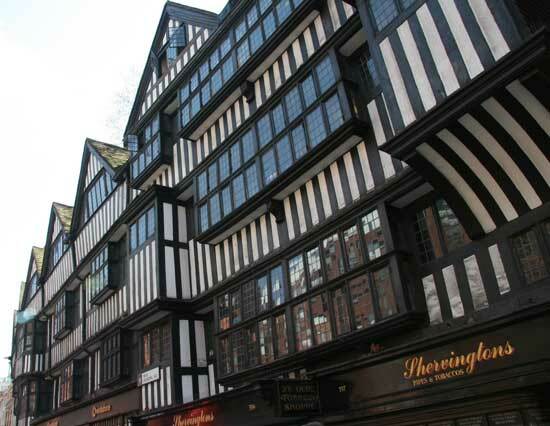 You will gaze upon the gabled façade of Staple Inn, about which Dickens composed some of his most poetic prose for his last, and unfinished novel, The Mystery of Edwin Drood. You'll actually hear Dickens description of it as you stand within the tranquil oasis of its cobbled courtyard and see for yourself how little it has changed since Dickens knew it. You will follow the journey made by Mr. Pickwick and Sam Weller as they head for the chambers of Mr. Perker, the lawyer who is to represent Pickwick in the breach of promise suit brought against him by Mrs. Bardell. This scene from Pickwick Papers is as fresh today as it was when Dickens first wrote it, and it still has the power to make people laugh out loud, just as it did with its first readers in the mid 1830's. How's that for timelessness? You will look over at the site of Fagin's notorious lair for nefarious-ne'er-do-wells in Oliver Twist and you will delve into the tranquil oasis that is Barnard's Inn, the place where Pip lodged when he first arrived in London in Great Expectations. You will stand outside the place where David Copperfield was re-united with his friend Tommy Traddles in Dickens's most autobiographical of novels. There's also the chance to admire the antiquated exterior of the Old Curiosity shop, a building that, from a Dickensian perspective at least, just seems too good to be true, largely because it isn't true! 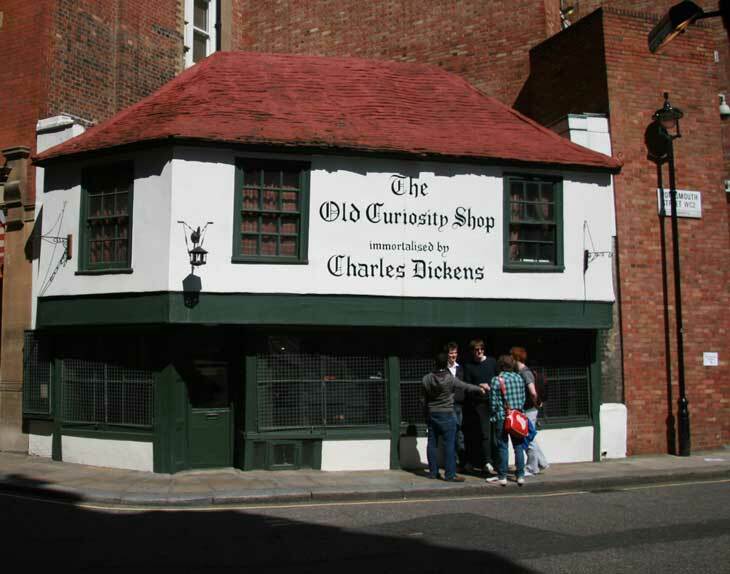 However, the story of how this came to be the Old Curiosity Shop that was "immortalised by Charles Dickens" is a delightful one, and it might well raise the flicker of a smile when you hear it! And, lest all this should prove insufficient to tempt you to take those first tentative steps on a journey back to the streets of Dickensian London, then how about the residence of Mr. Tulkinghorn in Bleak House where, according to Dickens at his lawyer-bashing best, "lawyers lie like maggots in nuts"? It is, however, one thing to listen to Dickens timeless words, it is quite another to hear them spoken at the very locations he was writing about. But that is exactly what will happen, with the result that you will see these enchanting places through his eyes. In short, not only will you join many of Dickens immortal characters at the scenes of their adventures, but you will also recognise the places that Dickens was describing and see first hand how little they have changed, despite the passage of close on 200 years. But, the walk is as much about the man himself as it is about his works, and thus you'll also uncover little pockets of the past that featured in his life, the story of which could have been penned by the man himself. You'll stand outside the office where he worked at the age of fifteen and look upon the very doorway through which Dickens entered the building to begin a journey that would see him transform himself from a lowly debtor's son to the second most famous Victorian (Queen Victoria was the first, lest you be wondering!). 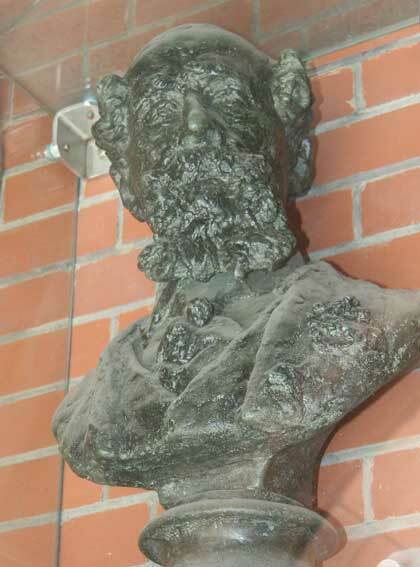 You'll have time to admire the ragged looking bust of Charles Dickens that looks out from the site of Furnival's Inn, the place where Dickens was living in 1836 when fame, quite literally, came knocking on his door in the portly form of....well, you'll hear the full story on the walk. You'll even be able to touch - TO TOUCH - the timeworn timbers of the 16th century gates alongside which young Charles, on his first day at work, was given a black eye by a " big blackguard fellow who knocked off my cap and said " Halloa sojer", which I couldn't stand, so I at once struck him and he then hit me in the eye"
It was whilst living here that Dickens married his wife Catherine, so it is a hugely significant spot and, there are also seats here on which you can sit and relax, as Richard's narrative embarks upon the roller-coaster of a ride through the story of Dickens's, to say the least, somewhat complex love life. The tour also features the "large house, formerly a house of state..." inside which Dickens greatest friend, and his primary biographer, John Forster, had his chambers. It was at this building, in 1844, that Dickens, freshly returned from Italy, read from his newly completed Christmas book The Chimes to a select gathering and, in so doing, sowed the seeds for his later public readings that would see him achieve the dizzy heights of rock star status with his Victorian audiences. So, why not join your costumed guide on a journey through the highs and lows, the joys and the triumphs of Dickens life whilst, at the same time, uncovering many fascinating facts and nuggets about the times in which he lived? You'll, most certainly, learn a lot, laugh a lot and see a lot. And, as you walk, you will find yourself drawn ever deeper into the City that Charles Dickens made his own and which he peopled with a host of immortal characters, many of whom will come strolling (in narrative) from the pages of numerous timeless classics to welcome you to theirLondon, a London that was, is and will always be - Dickens London. When planning your journey to the start of the Costumed Dickens walk, please allow 3 minutes for every station you will be through and then add 10 minutes to allow for any travel delays. I have been conducting this walk for over 30 years and, I have to say, I never really tire of the atmospheric area that it explores. 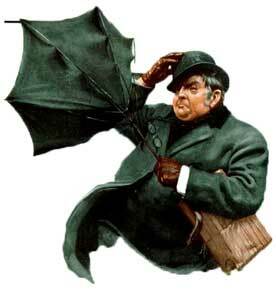 Dickens was, without doubt, a genius in every sense of the word and he was a huge force for good in Victorian London. But, as with so many geniuses, he had his darker side and, on this walk, we get to discuss the events of his childhood that shaped him but, at the same time, left him with a sense of abandonment and resentment that remained with him throughout his life. The reason that Dickens was able to depict the abandoned child so well was because he had been that child. When he sat down to create the likes of Oliver Twist, David Copperfield and a host of other child characters he was, very much drawing on his won experiences an emotions to depict their feelings. 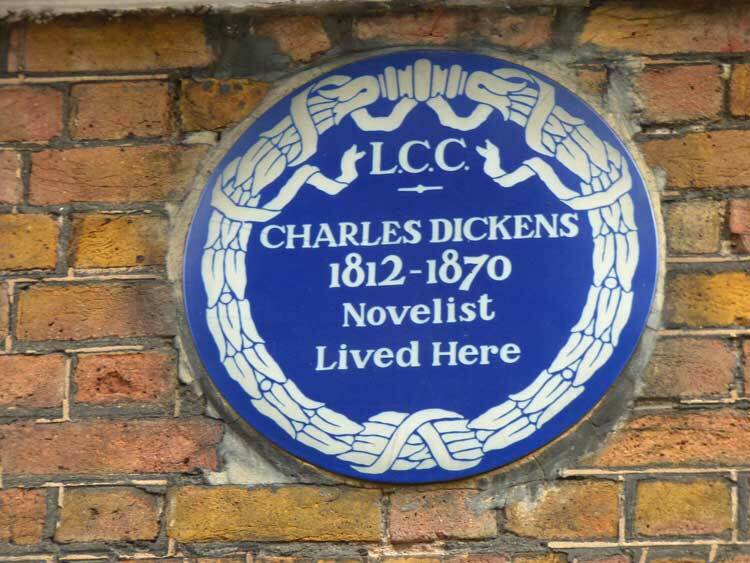 It was in the streets and alleyways that we explore early on in this walking tour that Dickens himself was confronted with the loss of his own childhood and where the likes of Oliver and David were born. This is one of those walks on which the route itself is pure magic. From the surviving wall of the Marshalsea Prison, to the tranquility of the stunning, and surprising Red Cross Garden, on through the old cobbled passages off Borough High Street and into the one arch from old London Bridge that didn't end up being shipped out to Arizona - the tour, quite literally, has it all. But I also enjoy giving this tour as it provides a fantastic opportunity to discuss the various psychological aspects of Dickens himself. I always say that I prefer my walks to be guided discussions rather than guided tours and this is one of those tours where, from very early on, participants begin chatting away about the various elements of Dickens psyche that the tour introduces them to. For that reason, I never grow tired of the Charles Dickens Walking Tour. I hope I will have the opportunity to welcome you on the walk in the near future. The Costumed Dickens Tour can be booked as a private tour for your office social, tour group, or even as an outing with a difference for a group of friends or relatives.